LiveLagoons project was presented at the interdisciplinary “GeoAdvances 2018” conference held in Casablanca, Morocco on October 10-11 2018. The conference was attended by more than 100 participants from 17 countries including Japan, Canada, Germany, Turkey, Malaysia, UAE, Philippines, Magreb countries. Arturas Razinkovas-Baziukas as keynote lecturer gave a speech on “Do the morphology, climate and hydrology control ecological functioning of coastal lagoons: synthesis across geographical and climatic scales” with an overview of ecological status of coastal lagoons across the geographical and climatic scales. The project LiveLagoons was introduced providing an example of multiple stakeholder related coastal lagoon management option. 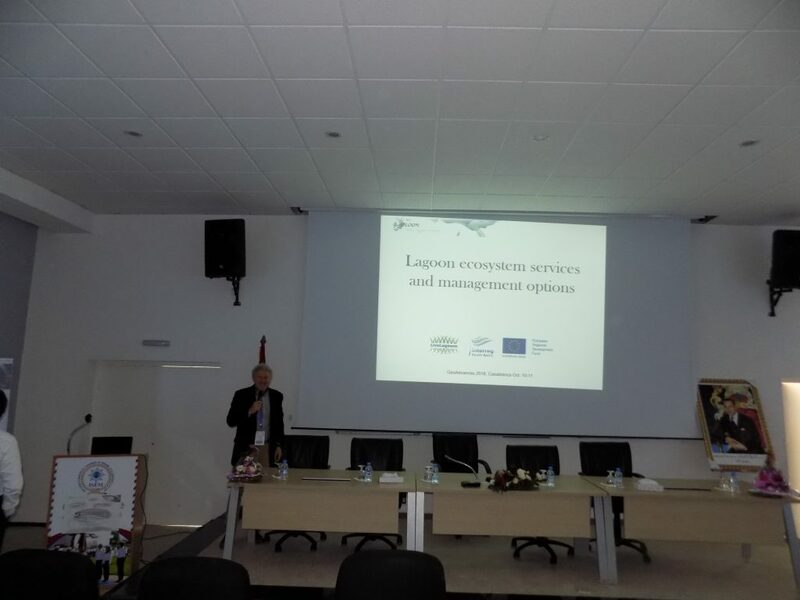 During the meeting with local scientists and coastal managers a possibility to use floating islands to improve the water quality in the Oualidia lagoon situated on the Atlantic coast of the Morocco, which is heavily impacted by the oyster aquaculture was discussed.